Коллектив авторов - Intermediate Listening Comprehension » KaZachya.net: Информационно-развлекательный портал. 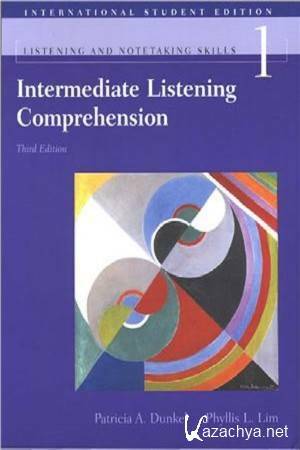 Intermediate Listening Comprehension is the first volume in this groundbreaking listening and notetaking series of THOMSON. This book is designed to familiarize students with the major rhetorical patterns of formal, spoken English. Lectures and readings from across the curriculum (history, science, anthropology, American studies, and language arts) provide stimulating content-based material for developing comprehension, notetaking, and academic study skills.Carefully sequenced progression of activities, spiraled rhetorical patterns, vocabulary, and structures, integrated speaking practice, pre- and post-listening activities.